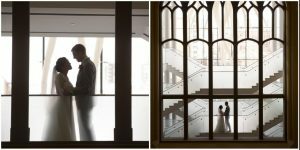 Breathtaking Winter Wedding Photography in Ottawa. 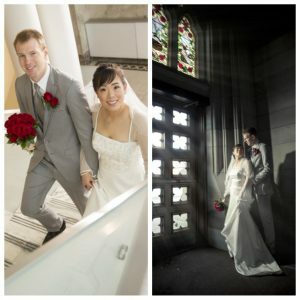 Winter weddings have become increasingly popular in the last few years in Ottawa. It’s a magical and romantic backdrop: white snow on the ground, sunshine catching the reflection off the snow making it look like there are diamonds everywhere, cozy and romantic fireplaces…it’s really the stuff dreams are made of. 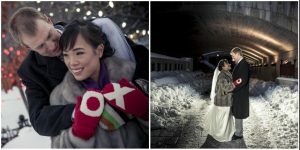 Photography gets very interesting for a winter wedding. Sunshine and snow make for some beautiful images but they also bring unique photographic challenges…but we’ve never met a challenge we couldn’t conquer! Not all lighting is created equal and the low light of winter is no exception. Weddings in December, January and February have the least amount of daylight hours with dawn coming later and dusk much earlier. So your ceremony and our approach to wedding photography call for some special attention and a unique methodology. I’m going to get a little science nerd here for a minute. As an example, let’s say you want have a 5:00 p.m. ceremony on February 10, 2018. By the way, did you know you can look up sunrise/sunset times on the National Research Council’s website literally years in advance?I love technology! On that date, the sun will set at 5:24 p.m. and end at 5:54 p.m. meaning twilight lasts exactly 30 minutes. For a wedding that begins at 5:00 p.m., you will have exactly 54 minutes before the sun disappears over the horizon, less if it’s a cloudy day. With little to no daylight to play with after the ceremony, you may consider doing a first look with the bride and groom, or doing most of the wedding portraits with the whole wedding party earlier in the day so there’s no rushing during photos and we can take advantage of whatever natural daylight we have. What you and your wedding party wear is also important. Wearing a light chiffon dress with barely-there straps may not be the best choice for a winter wedding. You need to keep warm to and from your photo locations…this may mean winter boots and warm coverings for everyone in your wedding party. 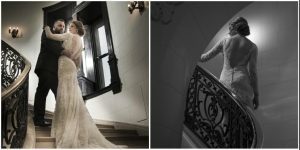 Fur shawls and capes for the ladies have made a strong comeback for winter weddings and they bring a touch of sophisticated old world glamour to photos. Men can often get away with a scarf and gloves if they’re wearing suit jackets. Photos of the winter boots the bridal party is wearing can be fun and quirky! Photos of everyone freezing…we’ll make it work but it might not be your favourite photo. And then there’s transportation. Winter weather, such as freezing rain and surprise snowstorms, is going to make transportation a little more challenging for everyone. The more locations you visit, the more travel time you need. It’s a good idea to head over to Google maps to determine travel time from location to location and plan your timeline accordingly. If the roads are dry and bare, you’re more likely be on time or even early, which is far less stressful than being late! If weather shows up, add 15 minutes to every 20 kilometres of travel you have to do…and have a plan B for your photography locations in case you can’t get there safely. You can even Uber around town. We did that for a wedding last summer and it worked quite well! Find out what events are happening in your area on the day of your wedding. For example, getting married at Lago at Dow’s Lake in Ottawa during Winterlude may mean road closures on the day of your wedding. 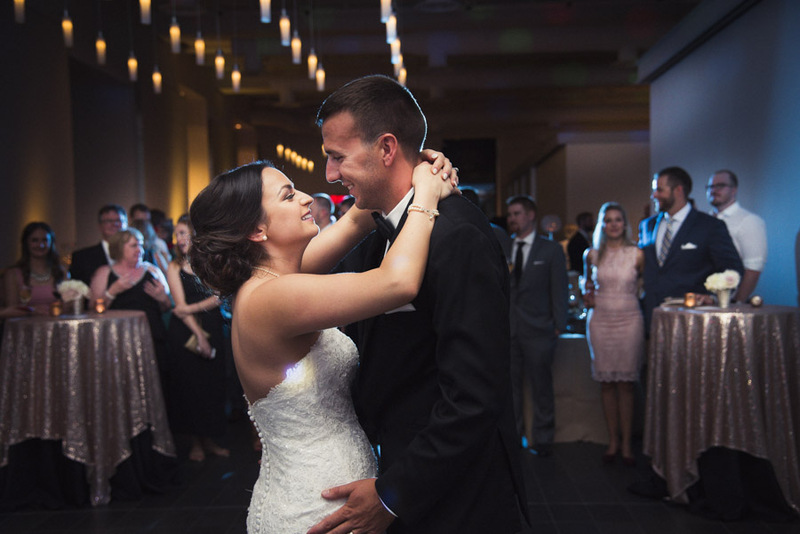 Check with local city websites for special events that may have an impact on transportation times, especially if you are visiting multiple locations on your wedding day. And Finally, if your getting married in the winter presumably it means you like being outside and you don’t mind the cold. 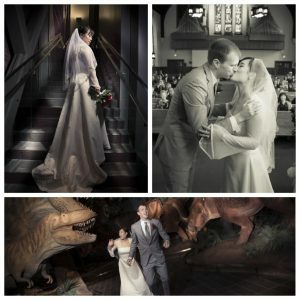 Having said that it never hurts to plan for some indoor shooting at a nice warm museum or public building! Did you have a winter wedding? What are some of the things you did (or didn’t do) to plan around the season? Tell us in the comments below.